is a free-to-play fantasy MMORPG from Gamigo that features detailed 3D graphics, challenging and dynamic kung fu combat, PvP battles and guild warfare. In addition to this, there is now a three-tiered skill-based system so you can level up your character in anyway that you see fit. You can check out the complete list of new features for the DragonBlood expansion below or start playing the game, which is free-to-play. Players can switch between their chosen skills, with no class restrictions, and can obtain pets that transform into mounts. 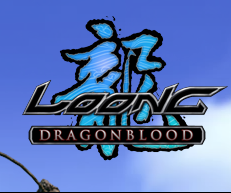 Loong: Dragonblood also has weapon sets that transform the appearance of players’ weapons when the sets are completed.